Our chocolate lab Benny is the first dog I’ve ever had. After getting over those months of “puppy love” I’ll call them (ex. : peeing in the house, pooping in the house, getting into the garbage – oh wait, he still does that) we’re discovering that there are certain traits attributed to Labradors. It’s not just their patience, like with a child who thinks of you as their incredibly large stuffed animal, or who lays on you like you’re an overstuffed pillow. No, Labradors have issues with their hips as they get older and they need supplements to help alleviate the discomfort. 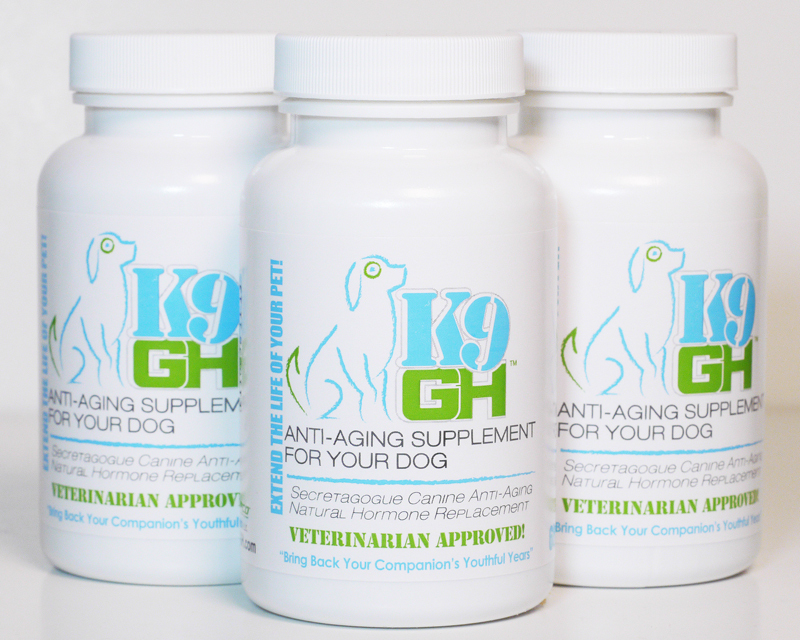 The brand K9-GH, a development leader in anti-aging for canines, offers relief for your dog and more. Our boy Benny is a very large, long chocolate lab and we started noticing that it was difficult for him to get up after sitting and he seemed to struggle to jump into our family van. For the past 3 months we’ve given Benny his daily vitamins and have found him to be walking a little easier and leaping into the van with less struggle. The dosage is 4 pills a day, and the fact that they’re beef flavor I’m sure adds to the excited look he gets when we reach for the bottle. You can purchase by clicking this link: K9-GH. They offer a money-back guarantee if you aren’t satisfied. I am so happy that we found these supplements. It’s worth it to see a big, brown happy boy in our life. HELLO. I’M INTERESTED IN BUYING THE PRODUCT ANTI AGING K9-GH FOR MY BELOVED LOKY WOULD LIKE TO KNOW YOUR OPINION BUT THE SAME. BECAUSE WE HAVE THEIR OWN CONCERNS AND DO NOT WANT TO HURT MY DOG. LOKY IS VERY IMPORTANT TO ME! PLEASE ANSWER MY EMAIL. THANK YOU! 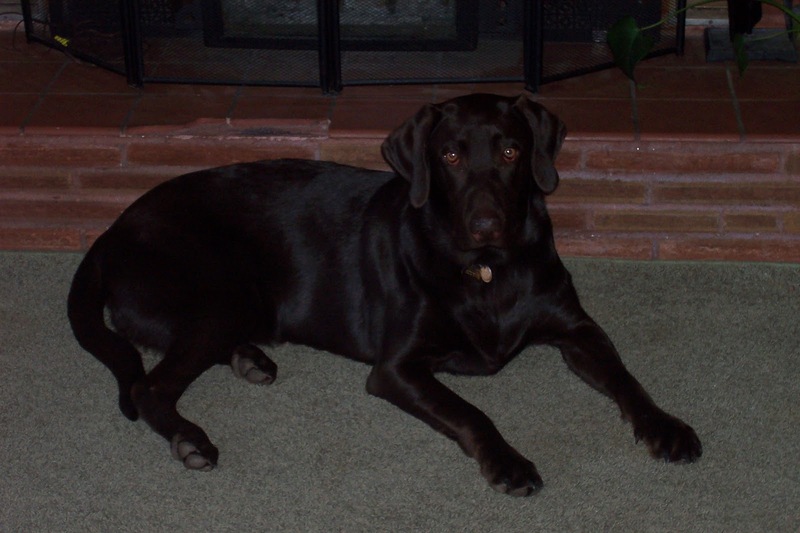 I had my Chocolate Lab take these supplements for 3 months and he had a good response. If you are concerned I feel the best thing you can do is contact the company with your concerns and talk to your Vet. I recently stumbled across the K9-GH website while looking for supplements to help my 11-year-old golden girl fight off the aging process. Somewhat reluctantly (there’s not a lot of info available), I ordered a bottle and started her on it. It’s been three days, and already she’s demanding longer, more frequent walks. She seems more energetic, but maybe that’s only because the weather has gotten dramatically cooler here in Central WA. So I’m wondering: I know you were sent K9-GH to review, and you reviewed it favorably. But I would be so thankful if you could e-mail me with more specifics. I love my dog with all my heart; and while this new energy is encouraging, I’m somewhat afraid of it being a cocaine-like effect: good in the short-term, but harmful in the long-run. Is Benny still taking K9-GH? How long was he on it before you saw signs of different behavior? I’m sorry to ask, but it’s nearly impossible to find unbiased reviews of this product, and it’s hard to know whether I should continue giving it to Hallie. She’s far too precious to be a “lab rat”! Thanks so much for your help on this issue. And please, if you reply, let me know your honest opinion. It’s so hard to find people the company isn’t paying for an endorsement! I just want to make sure I’m not doing my best buddy more harm than good. My e-mail address is hadiehl@gmail.com, and a sincere thanks again for any insight you can provide. Heather, I checked with my Vet before giving K9-GH to Benny. I agree, our dogs are precious and I would not treat my dog like a “lab rat” just because I was given product to review. Benny appeared to move easier after around 3 weeks of taking this supplement.